Acting Brooklyn District Attorney Eric Gonzalez today announced that 2017 will end as the safest year in Brooklyn’s recorded history, with the fewest number of homicides, shootings and shooting victims since record-keeping began. 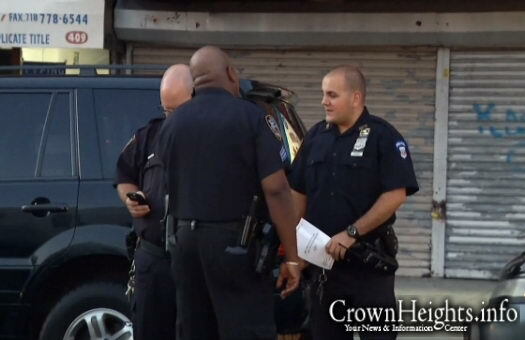 Crown Heights saw a particularly noteworthy 40% reduction in homicides. Building on this trend, the DA’s Office is set to announce a reform-driven agenda after the new year that will maintain a focus on driving down violent crime while finding new opportunities for diversion, transparency and efficiency. Only 110 murders were recorded in Brooklyn in 2017 (nine of which were reclassified homicides from previous years, meaning the actual count of homicide deaths that took place this year was 101). That figure is down 18 murders (14.1%) compared to last year, which had the third-fewest homicides ever recorded and it eclipses the previous record low of 2014, when 122 murders were recorded. The reductions in shootings and shooting victims, coming on the heels of approximately 13% drops in 2016, are even more astounding. There were 118 fewer shooting incidents compared to the same period in 2016 (a total of 287, down 29%) and 149 fewer shooting victims (a total of 341, down 30.4%). if we are deterred from reporting there wont be crime. crime unreported never happened. so when we say why don’t the police do anything maybe we need to report all incidents. Whatever it is in Los Angeles is much much safer then New York City!!!! As the rule goes…. if it’s not reported… it didn’t happen… so the police under report crimes.. so they get lower crime numbers. How do I know…? Because when I called the police to report a crime. I offered evidence. And info….They did nothing to follow up and nothing to get to bottom of it… in fact… nothing happened…. that was my EXACT experience, they just don’t respond to stuff like they did with Rudy ruled. better yet they say they are busy and call you back 1 hour later asking if the “condition” not crime is still present as opposed to a crime is in progress respond. Baloney numbers by a corrupt ego maniac atheist mayor. Bc there are less and less middle to lower income families (let alone families at all) and I’m not sure that’s a good thing for us. based on the picture above, it seems to be in NYPD you have to qualify for the heavyweight boxing class, can these guys and women even run? What is so great about Los Angeles, you’re making a statement that Los Angeles is way safer than Bklyn, please show proof, do u have a link from a website that shows the crime rate of the year 2017 for the city of Los Angeles ? From there we can compare if Los Angeles is safer than Bklyn, what else don’t u like about Bklyn ? The fact that you’re writing this comment shows u have a resentment about Bklyn, please tell us what u don’t like about Bklyn, the city the Rebbe lived in, did the Rebbe live in Los Angeles ?